Pretty much as I had expected. Consumers are tapped out and you can blame inflation the Fed says doesn't exist the necessities, food and gasoline. Certainly the packages have become small to mask the cost but we all know it's there, lurking. We're getting less and less for our hard earned buck and $20 just doesn't buy what it used to....leaving less for dining out, electronics, clothing, vacations, etc. Numerous articles have noted a sharp rise in the price of renting an apartment or house across the U.S. Many have also argued that the rise in rents disproportionately affects lower and middle class renters. I know in my own situation, my rent increased 9% in 2013 and 10% in 2014. Did our incomes increase by as much? I wish. Houseofdebt.org decided to take look by examining the great data available on rents from Zillow. The chart shows general inflation (measured with PCE headline inflation) versus the increase in rents. Both series are indexed to be 100 as of November 2010 (the first month the Zillow data are available). 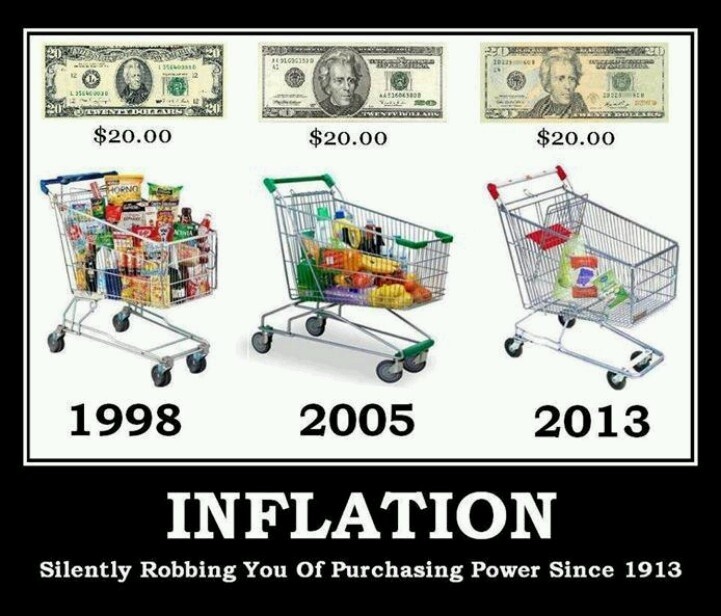 We Have No Inflation? What Of Cost To Rent? It makes me insane when the Fed says inflation remains subdued. Subdued? idk where they live but my rent in 2013 went up 7% and this year, 9%. A 2-liter bottle of CocaCola used to be .99 cents. Now it's $1.99. Don't even get me started on the ridiculous increase in crude oil versus a few years ago (doubled) and how small a bag of my favorite chips has become 1/3 the size for the same price. Oh, that's right. They don't include food and energy (the stuff that always goes up).